Imperial Hubris. Why it is impossible to defend freedom without letting go of hubris. Why the West Is Losing the War on Terror. Michael Scheuer, Author . “I am not smart or arrogant enough to formula an all-inclusive approach to US foreign policy. I do, however, have long experience analyzing and attacking bin Laden and Islamists. I believe they are a growing threat to the United States–there is no greater threat–and that we are being defeated not because the threat is unavailable but because we refuse to accept it at face value and without Americanizing data that comes easily and voluminously to hand. This must change or our way of life will be unrecognizably changed.” Author, Michael Scheurer. When a fire starts to burn run away from it. Disclosure. Live from Central Park. An appeal to stop bombing people with values. 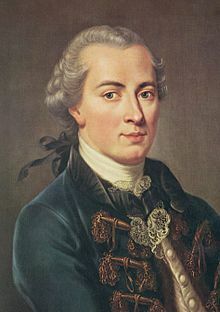 Kant and the categorical imperative towards moral realism. Every rational being must so act as if he were through his maxim always a legislating member in a universal kingdom of ends.Kant’s categorical imperative and the trial of Adolf Eichmann: In 1961, discussion of Kant’s categorical imperative included even the trial of the infamous SS Lieutenant Colonel Adolf Eichmann in Jerusalem. As Hannah Arendt wrote in her book on the trial, Eichmann declared “with great emphasis that he had lived his whole life … according to a Kantian definition of duty”. Arendt considered this so “incomprehensible on the face of it” that it confirmed her sense that he wasn’t really thinking at all, just mouthing accepted formulae, thereby establishing his banality. Deborah Lipstadt, in her book on the trial, takes this as evidence that evil is not banal, but is in fact self-aware. Protected: O Come O Come Emanuel, Hymn in praise to the glory of the Lord. Boro Aasha Kore Eschechi, I have come to YOU with great hope. Poet, Rabindranath Tagore, Vocalist, Debobroto Biswas. https://youtu.be/fEwrm5ukGzIBoro asha kore esechhi go kachhe deke nao, I have come to you with such hope, Phirayo na janani mother-land, ||Don’t turn me away again. Dinohine keha chahe na tumi tare rakhibe jani go. Those that are not wanted either day or night, you have brought to YOU. Aar ami je kichhu chahine charanatale boshe thakibo. And I do not want anything other than the opportunity to sit beneath your feet. Aar ami je kichhu chahine Janani bole shudhu dakibo. 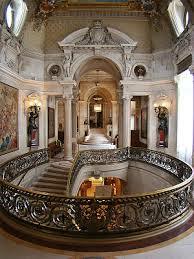 And I do not require anything else because this will be my home. Thumi na rakhile griho arpaibo kotha, kende kende kotha berabo-If YOU do not keep me, where will I find another? I will be lost in the wilderness, crying for a home. Oi je heri thomosho ghonoghora gohono rojoni, I see the night that has yet to break free from darkness. The act of Martyrdom. Freedom fighters also known as Satyagrahis of the Bardoli Satyagraha in 1928. The Bardoli Satyagraha in Gujarat in 1928 commemorated the beginnings of the freedom struggle for independence from Britain. It was organized by Sardar Vallabhai Patel. The women Satyagrahis gave this honor to Vallabhai Patel for his bravery in fighting avaricious British landlords. He led the protest of the farmers to protect their homes by making sure that the British would never find out whose property belonged to whom. Their attempt to forcibly take over farmers was rebuked during a raid when British policemen entered the village and found them to be empty because their inhabitants remained hidden in jungles. The policemen had to leave empty handed, their mission thwarted as there was no one to negotiate the transfer of deeds. The raid was unsuccessful and Satyagraha gained popularity all across the nation. The Satyagrahis peacefully protested authoritarian British laws, and called for India’s independence. Many thousands were beaten, tortured and arrested. 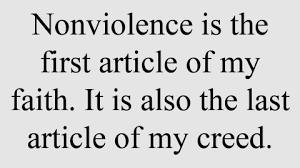 Non-violence is the law of our being, MK Gandhi and others equally heroic leaders. The Pearl Fishers, Georges Bizet. Opera in 3 acts. 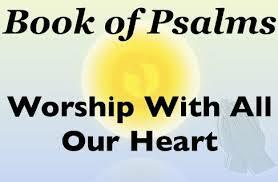 The book of Psalms. Pray for the Peace of Jerusalem, Yerushalayim. Sha’alu Shelom Yerushalayim, Yishlayu Ohavayik, Yehi Shalom Bechelek, Shalvah be’armenotayik. Entreat the peace of Jerusalem, May they prosper who love you. May peace be within your walls, Security within your towers. Jerusalem and the book of Psalms. Psalm 122. Thumi Ami Dujon Priyo, You are my Beloved God. , Shwapne dekhi ekti nothun ghor, thumi ami dujon priyo thumi ami dujon, bahire bokul bone, kuhu papiya kore gunjon, swapne dekhi ekti nothun ghor, abeshe dhule phuloshojai shui, mukti pae haashe molika jui, kane kane bole, chinechi, aui uthol shomiron, tumi …purnima chand koi ganar shurr chonchol ora dujon, premo jyoti anondo obirol chol chol, moumachi koi guun guun gayi, mukho mukhi dujone shekhan jaai sharoti au shefali gauye pore koi brojer madhubon eitho brojer madhubon, thumi ami dujon priyo swapne dekhi ekti nothun ghor. YOU and I are together and finally see a new home. Outside in the forest of the bokul trees, birds sing glory. Excited, flowers fall and welcome You. Having won salvation the ruler jasmine flowers delight. They speak softly to the ears of the world, recognize, remember your Master. The moon speaks of a song representing the reunion of God and human beings as restless moods. Light the candle of love so that happiness spreads quickly. The bees sing praises to herald the new beginning, God. The shefali or jasmine flowers cascade down in Brindavan, the beloved abode of Lord Krishna. The Lord creates a new home that can only be assembled in dreams.